SAN DIEGO - San Diego-based political podcast Flip the Script: The Future is Female is proud to announce local labor leader Johanna Puno Hester will emcee the much-anticipated 2nd Annual Women Who Change the Game Awards Celebration in San Diego in November. Johanna Puno Hester is the Assistant Executive Director of the United Domestic Workers of America (UDW) / AFSCME Local 3930 representing 104,000 homecare providers in California with 20,000 homecare providers in the county of San Diego. She is an elected AFSCME International Vice President, a 2nd Vice-President for the Asian Pacific American Labor Alliance (APALA), a national organization of Asian Pacific Americans organizing to advance worker, immigrant and civil rights and the newest Housing Commissioner for the San Diego Housing Commission appointed by the Mayor. Johanna Puno Hester’s dedication to working families began in the 1990s following her father’s footsteps. In her first ever campaign, she successfully led the organizing campaign of 2,000 recreation and park assistants in Los Angeles for AFSCME. She worked in several other organizing campaigns, including the University of Maryland, New Mexico State University and other state organizing campaigns before she settled with UDW in 2008. Since her early organizing days, she has become a formidable labor leader, champion for home care providers, and an outspoken advocate for the immigrant and civil rights of workers. Friends, family, workers, and the countless leaders that she has paved the way for can all attest to her passion, dedication, and commitment to all working families. The event will honor three women who have shown outstanding progressive leadership in San Diego: those who have taken action, spoken up and successfully fought for key progressive issues. 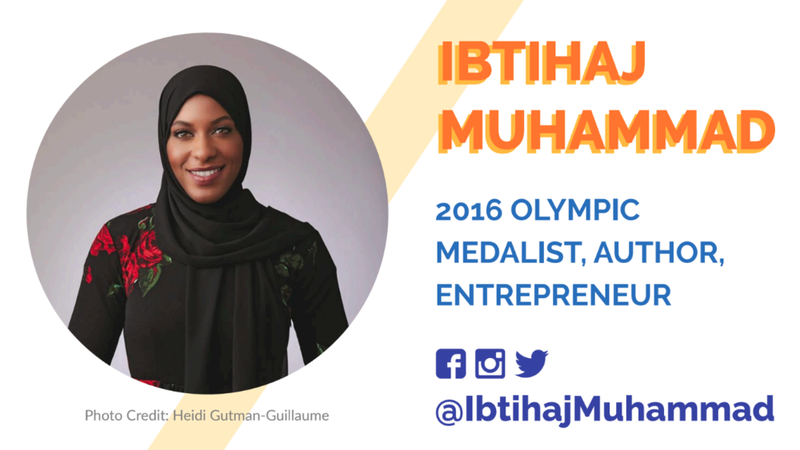 The featured guest at the event will be the groundbreaking Olympic medalist, author and entrepreneur Ibtihaj Muhammad.